Four more victims of the Afghanistan war returned home yesterday. Parachute Regiments' Lance Corporal Dale Hopkins, 23, Corporal Kevin Mulligan, 26, and Private Kyle Adams, 21, were killed when a bomb tore through their armoured Jackal vehicle in Lashkar Gah. They were repatriated yesterday along with Private Jason Williams, 23, of Worcester, who served with 2nd Battalion The Mercian Regiment. 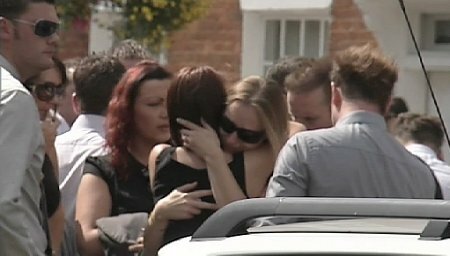 Their bodies were flown into nearby RAF Lyneham at 11am before the hearses made their way to Wootton Bassett were hundreds lined the streets to pay their respects.